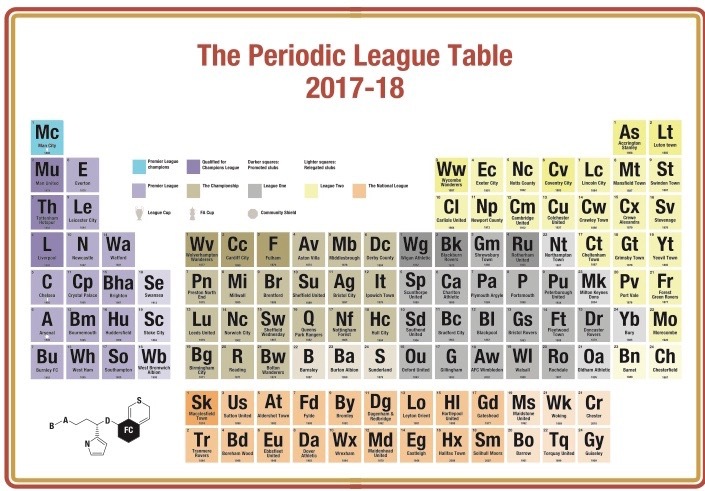 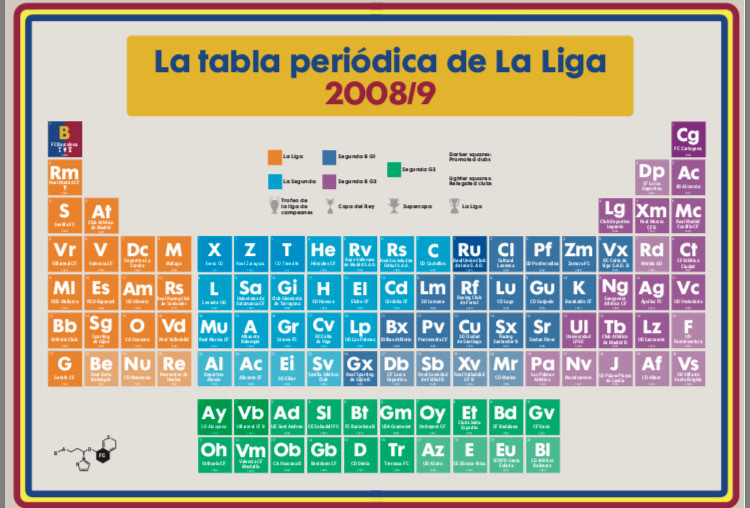 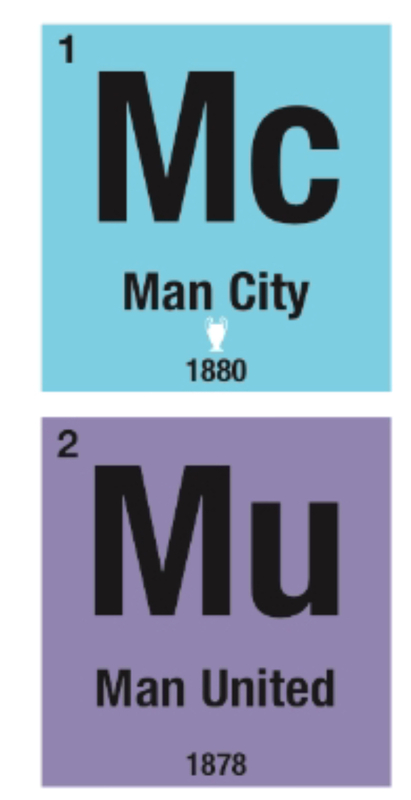 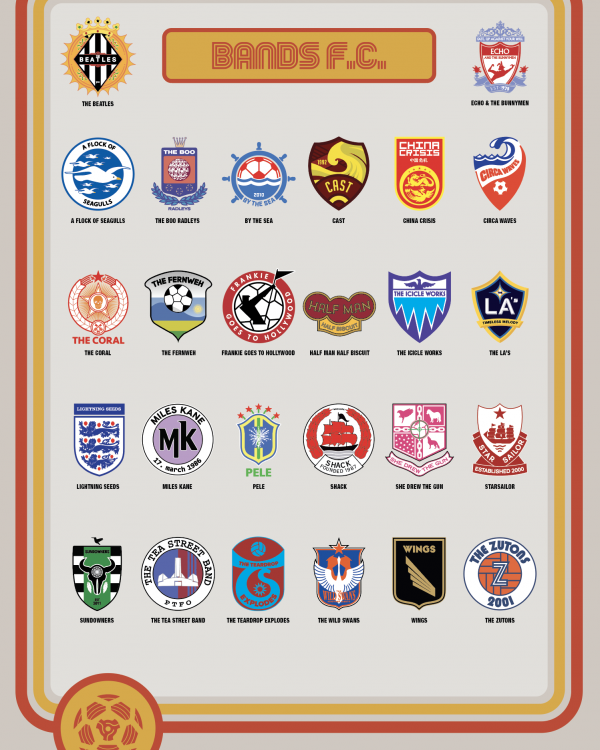 The Periodic League Table – 2017-18 – Bands F.C. 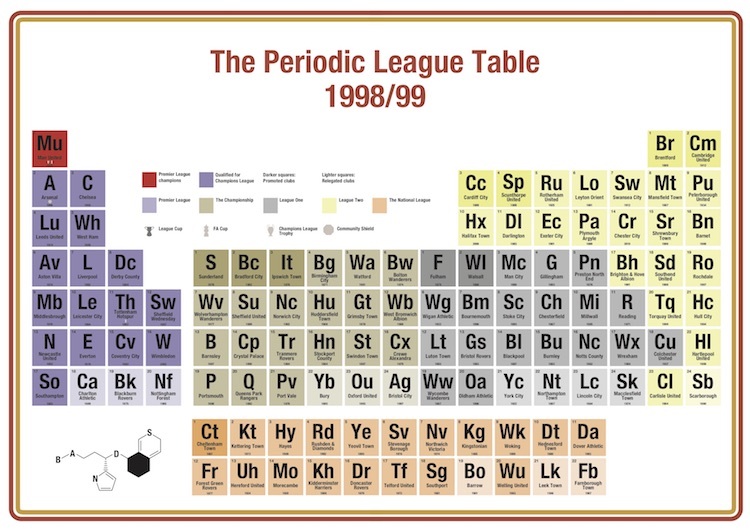 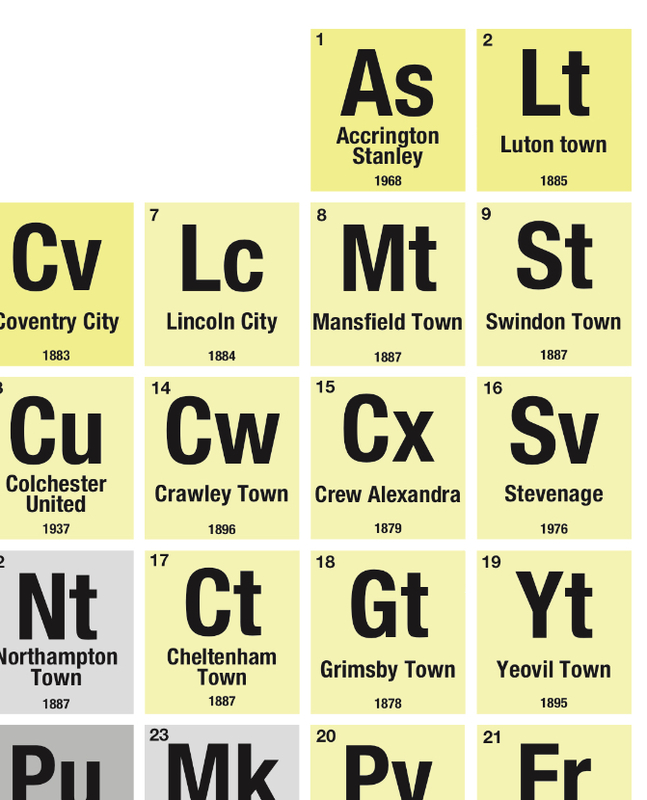 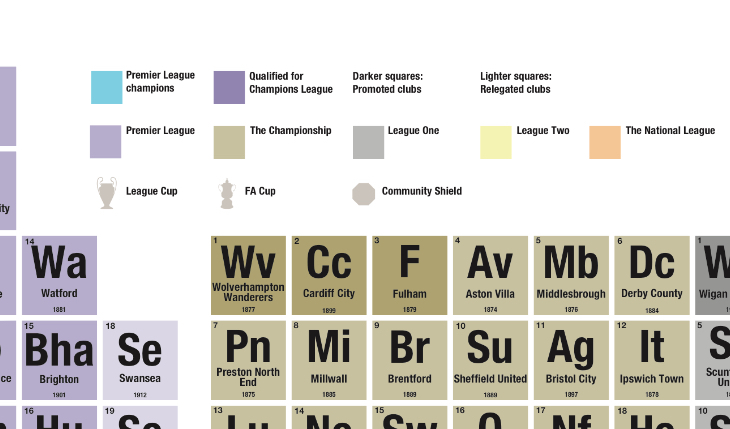 The Premier League, Championship, League One, League Two and National League shown as The Periodic Table. 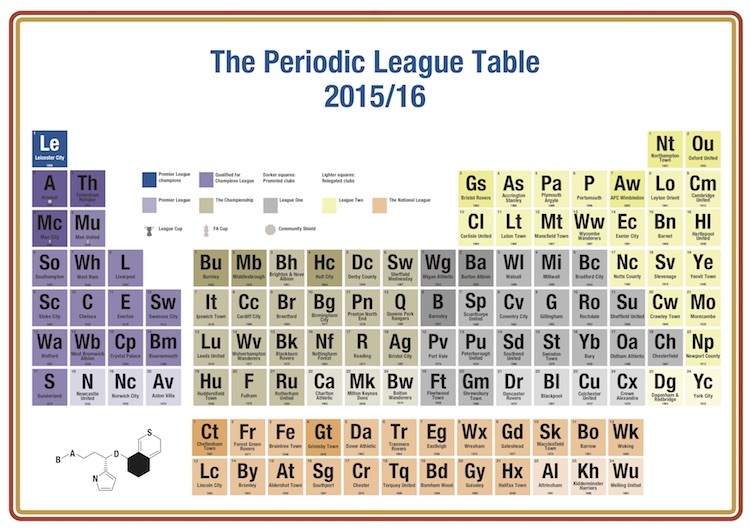 Showing final finishing league table positions in the 2017-18 season, with cup winners and promoted and relegated teams in each division.